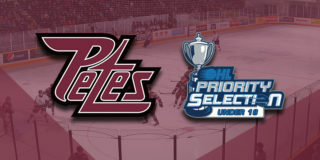 Earlier this season, the Petes introduced a program designed to connect the Peterborough student body with local hockey. 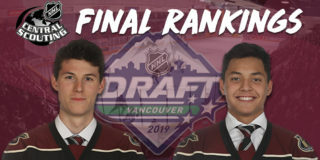 The program consists of four ambassadors from Trent University and Fleming College whose purpose is to initiate the dialogue surrounding the Petes on campus and bridge the gap between millennials and local hockey. They serve as a liaison between the hockey club and students, drawing the young adult crowd to the Memorial Centre to home games. They’re addressing the barriers preventing this demographic from attending games, and spearheading team spirit in the Supporter Section (Section 1). Charles Hyland is a Trent senior. He is currently majoring in history and is hoping to attend teacher’s college the following year. In response to why he chose to be a part of the the Petes ambassador program Hyland said, “I wanted to be apart of something other than being in school, I thought it would be awesome to be a part of a volunteer program involved in hockey.” Charles will be encouraging everyone to attend Petes games via Facebook event sharing (including information about location and time of the games) and poster advertisements around the Trent campus. Lorena Matheson is a third year double major in psychology and education. Her motivation for joining the program stemmed from a desire to be more involved in the Trent-Peterborough community. Matheson is currently a member of the Alpha Pi Phi sorority and volunteers with Girl Guides Canada. She plans to flood social media with posts of her Petes games experiences, engaging a younger crowd. Ally Penders is a second year student from Trent University and aspiring sports journalist. “I love hockey and I love my school; how better to bring it together than with this position,” stated Penders. By reaching out to different organizations at Trent and rocking her Petes gear on campus, Penders is keen on adding to the Petes home game crowd. Alex Pickford is a third year marketing student at Fleming College. Pickford is a marketing major whose purpose for joining the program is to, “get more involved in the business side of hockey and highlight the Petes brand.” He plans to reach Peterborough’s millennials via social media platforms such as Facebook. A Peterborough native, Alex has a strong understanding of the franchise’s reputation and history within the city. 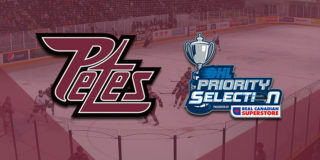 According to Greg Sinclair, Petes Manager of Sales and Marketing, the campus ambassador position serves as, “the eyes, ears, and promoters on campus, as they are going around talking to their friends, the students, about the details of the games.” In conjunction with their work at school, the Petes student ambassadors will be the loudest fans during home games, initiating “Go Petes Go” cheers and other chants. Do you want to join Charles, Lorena, Ally and Alex? Pay only half price for tickets and sit with them in the Supporter Section (Section 1) during every Petes home game this year. 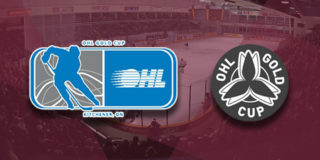 Seats are just $10 for fans of all ages, who are encouraged to cheer and wear Petes gear.